Mia Quinn, who lives in Franklin and studies voice at Encore Music Academy and Recording Studios, has been awarded the National Gold Medal of Excellence for 2016-2017 in Preparatory Voice, with a remarkable score of 97. The Royal Conservatory of Music awards the National Gold Medal to the student who has achieved the highest score in the country within their specific skill level for each instrument. Mia, now 11 years old, has been studying voice, as well as performing and recording albums with the Recording Ensemble at Encore for over two years. 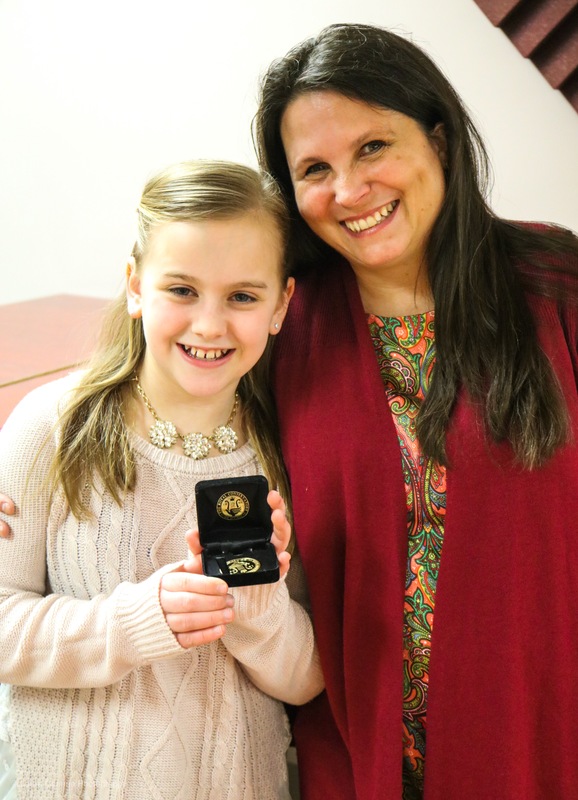 Under the guidance of her vocal instructor, Lisa Ostrow, (who has guided students to national gold medals twice before), Mia began her studies in voice using the curriculum of the RCM right from the start. The Royal Conservatory of Music provides a recognized national standard of success in music study from beginner to advanced levels. It inspires excellence through individual student assessments that are central to the Program, while also supporting teachers with high-quality and innovative resources. The RCM allows students to measure and celebrate accomplishment and track their progress throughout the country. All students and teachers across the United States are invited to participate, and Encore Music Academy and Recording Studios is proud to be able to offer these opportunities at the school and through outreach to the surrounding communities. A number of students from Encore Music Academy and Recording Studios, located in Franklin and Millis, participate in the Royal Conservatory of Music (RCM) assessment sessions each year. The RCM assessment process represents an extremely exciting opportunity for students, on a national level, to demonstrate the skills that they have honed through practice. Locally, assessments are held at Encore Music Academy and Recording Studios, which is a Founding School and a regional assessment center for this internationally-acclaimed program. Student participants come from all around the New England area to take the assessments, while adjudicators travel from all across Canada in order to administer the exams. Not only do the adjudicators judge students based on ability to perform on the instrument of their choice within their skill level, but they also administer academic assessments in music theory, harmony, history, and analysis. 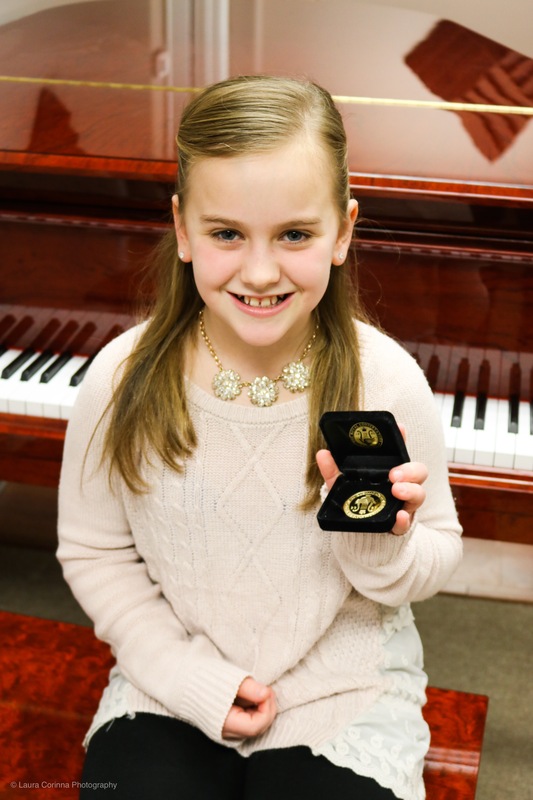 In December, 2017, Mia received First Class Honors with Distinction on her Level 1 vocal assessment with a score of 92, and is on her way to perform at Carnegie Hall as a result of having won her Gold Medal! For the assessments, students are graded on proficiency in the following areas: Performance; technical requirements; aural skills; rhythm; and, sight-reading ability. Encore will be hosting another round of regional assessments this spring and is very much looking forward to the opportunity to meet and interact with young musicians from all over the Northeast.